How to Get the Edge You Need to Secure More Clients. Get VAcertified! A VAcertified.com certification seal on your homepage shows clients and potential clients that you have met the standards and values as set out by and international panel of professionals. Business owners will feel secure that you not only have the skills and professionalism to do the job, but that you are guided by an internal ethic that compels you to strive for optimal results. You do it right. You do it on time. And you do it with pride. In other words, a VAcertifed.com seal of certification means you are the person they are looking for. Do you have what it takes to be VACertified? Do you have a legitimate online business? Do you have formal education and/or training? Do you have administrative work experience in the corporate world? Do you have a professional web presence? Do you desire to help others, both clients and colleagues? Do you possess a strong sense of responsibility to your clients? Have you been in business for a minimum of 1 year? If you answered YES to all of the above, you may have what it takes to get VAcertified. 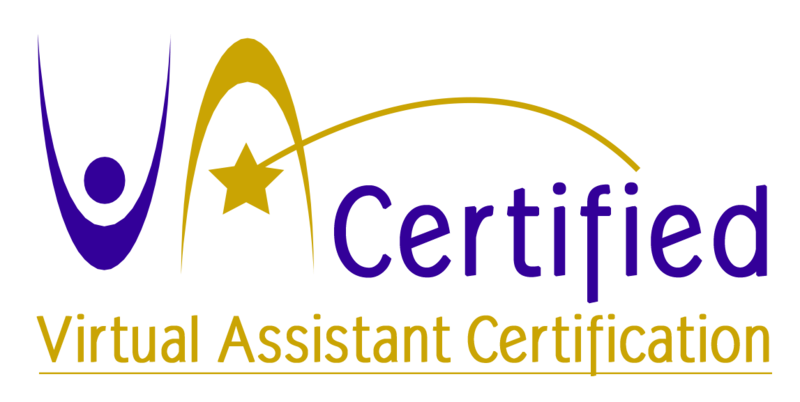 To begin what may be the most important journey in your career as a leading edge, highly sought after virtual assistant, simply click this link and APPLY to become VAcertified TODAY! The VAcertified.com application process is not fast or easy. It’s not meant to be. We’re only interested in VAs who put in the extra effort. The proactive VAs who have worked hard to build a name and who strive for excellence in all that they do. Legitimate, profitable businesses are not easy to build and maintain. As such legitimate certifications don’t come upon payment received. Rest assured, we take each and every application for certification very seriously. 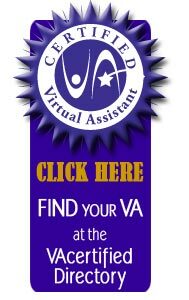 With a VAcertified.com logo on your homepage you too can join the community of VA professionals who have, and continue to, put in the extra effort that sets them and their businesses apart. Welcome to the first step of your certification journey. Don’t wait. VACertified is here. Get in on the ground level of the movement that is going to elevate your status as the VA everyone wants to hire. *VAcertified certifications are not given for life and can be revoked if information becomes available that you no longer meet the VAcertified.com Board’s standards.